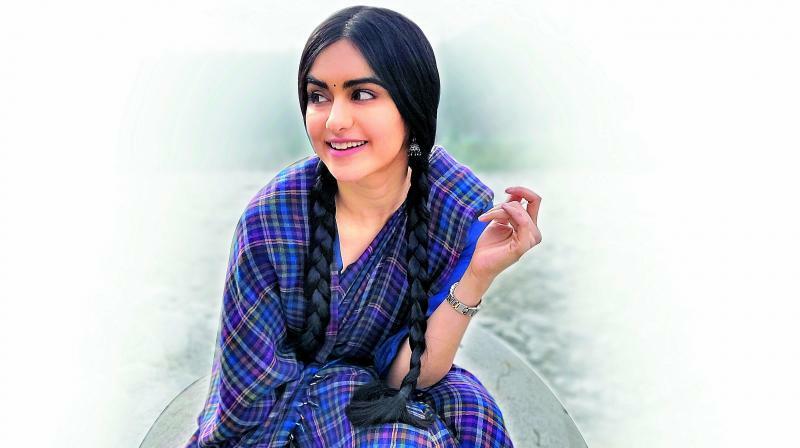 Actress Adah Sharma will be seen sporting sarees throughout her upcoming Telugu film, Kalki. We trust actress Adah Sharma to surprise the audience with her role in every film that she takes up. Her forthcoming film, Kalki, will feature the actress sporting only sarees throughout her part in the period drama. “This is the first time that I will be seen sporting sarees throughout a film. The film is a period drama, so I need to get my look right. Director Prasanth Varma ensured that the look was true to the character and at the same time convincing enough,” explains Adah. In contrast to Commando 3, in which she’s playing the role of a badass fighter, Adah appears as a strong and settled woman in Kalki. “Although my look in both the films are very contrasting from each other, I’m enjoying juggling between the sets. I sport coloured hair in Commando 3 while in Kalki, my hairdo is more Indian. My team has been working really hard to balance my look and style accordingly,” she said.